To be honest, if someone asked you to sum up the whole of the mid-2000s UK indie scene, you’d only have to give them two names: Artic Monkeys and Bloc Party. By no means are they binary opposites, however from a distance they do neatly sum up the best the country had to offer at that time. On the one hand you had the Monkeys, brash, cheeky, northern and a perfect replacement for fans of the ageing Oasis who still wanted a slice of mouthy rock and roll. Then you had Bloc Party, thoughtful, political, and with an ability to create music that perfectly encapsulated the hazy days and gloomy nights of cosmopolitan London, a feat making them one of the defining bands of this reviewer’s teenage years. A decade into their career and with a brief hiatus behind them, the latter played their biggest headline show to date, filling Earls Court with a legion of vibrant fans eagerly anticipating a band that had not played its home town since 2009.Opening with several choice cuts from their most recent album Four, the gig did not explode into life until the band wheeled out fan favourite Hunting For Witches from their second album A Weekend in the City. From then on it was like spending an evening with one of your oldest and dearest friends, with the band rolling out such leather-bound hits as Banquet and Flux, ensuring the crowd went well and truly ape. 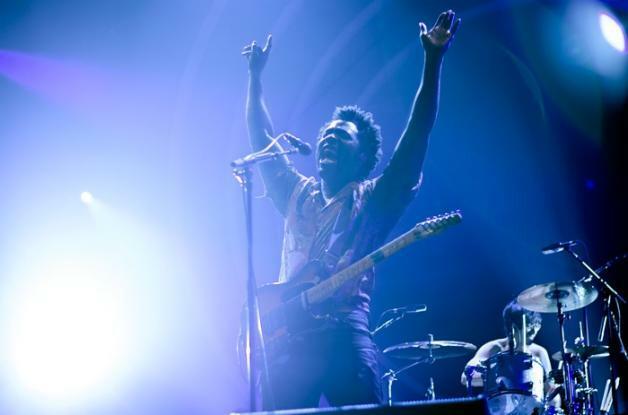 One thing that is undeniable about Bloc party is their pop sensibilities, which were showcased towards the end of the set as frontman Kele Okereke gave a rousing rendition of Rihanna and Calvin Harris’ hit ‘We Found Love’, before launching into the bona-fide barnstormer ‘Flux’. The crowd were further treated to the unreleased and humorously titled song ‘Ratchet’, a hip-hop tinted track featuring Kele spitting bars over a crunching Russell Lissack riff, which thankfully did not sound as much like Linkin Park as you’d think. By the time the band played ‘Helicopter’ to end the show the mosh-pit in front of the band had reached such catastrophic proportions that a friend of mine lost not one but both of his shoes (and miraculously managed to find both at the end of the gig), a fact that I feel is indicative of why Bloc Party have not vanished into the ether as so many of their peers have and why they are the quintessential southern indie band. No wonder Noel Gallagher hates them.